For over 35 years, Tabor Building has been constructing quality homes in Douglas County. At Tabor Building "VALUE" is of upmost concern. 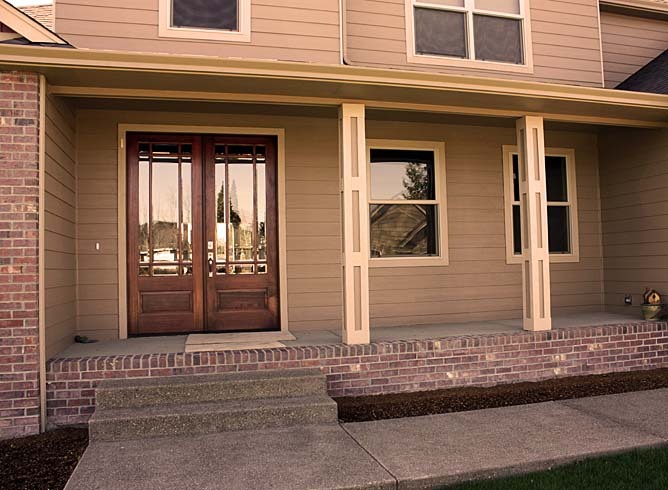 They take pride in offering Roseburg area homebuyers the most home for their money. Tabor Building offers a great combination of communication, quality, financing options, warranty, and pricing. Our sister company Roseburg Homes Realty is a full-service brokerage assisting buyers and sellers of Homes, Farms & Ranch, Commercial, and Multi-Family properties in Roseburg, OR and Douglas County. Tabor Building has been in business in Roseburg for over 35 Years. Tabor Building specializes in building custom and speculative-built homes. We would like to share our experience having Ben Tatone of Tabor Building construct our custom home. Through the entire process Ben helped coordinate choosing everthing for the construction of the home and kept us informed as needed in the total process, which made our experience a great pleasure. Everything he said he would do was accomplished and in a timely manner. All the sub contractors that Ben used did exceptional work and were very professional. We highly recommend Ben Tatone and Tabor Building as a quality builder. Approximately two years ago Ben Tatone and Tabor construction built us a home out Garden Valley. Ben and his construction subs were very professional and timely. The results from the experience were outstanding, so we sold and are building with him again in 2015. I have recommended Ben to several of my friends knowing he will take great care of their building experience. Two local well known builders also quoted us, both with little regard for our stated budget. We were about to give up on building. We started working with Ben in 2009. He was our dedicated person in the process, from showing us numerous lots to the final walk through. He helped us find the site, the plan and adjustments we wanted to make. He is experienced in the process and has a good eye for the plan and detail. He was patient and helped us stay in budget by taking us to or pointing us to vendors. We upgraded on a few things but followed the budget to our satisfaction. Ben guided us through the whole process making building a smooth and exciting process. I would recommend Tabor Builders and Ben Tatone to anyone interested in building a new home. Tabor Building was a pleasure to work with throughout the process. I found that their relationships with the sub contractors where invaluable in his ability to construct our beautiful home at a fair price. They are easy to work with and has a solid knowledge of building choices, more in line with a custom home styles and design. They are not afraid to come up with creative building solution options that complement our particular sense of style and what we wanted in the theme of our home. Tabor Building did a great job of managing all aspects of the build and I would recommend them to anyone looking for a general contractor to build them a beautiful home. The unique blending of customization and organization is what makes building your new home with Tabor Building a wonderfully unique process. A significant upfront time investment is made in each home, whether modest or luxurious, refining the floor plan and setting out all details of the home. This upfront time investment gives the buyer full customization opportunity before the project is inserted into Tabor Building's construction process. Buyers can enjoy the home building process knowing they are getting exactly what they want at exactly the price they agreed to pay.